These are usually by arrangement only but can appear on our calendar. 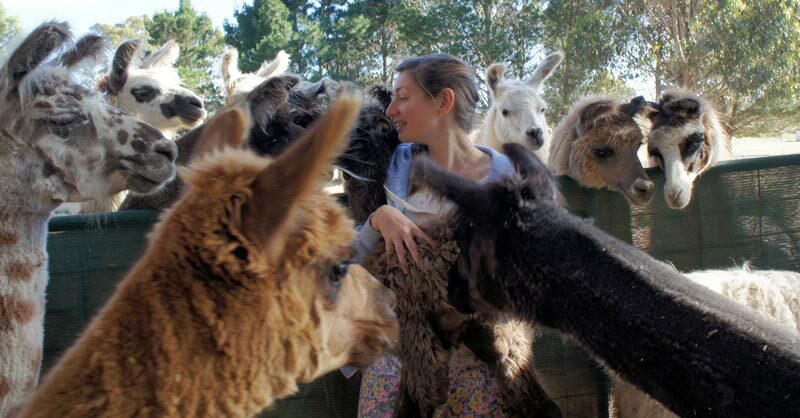 The 1.5 hour, 2 hour and 3 hour guided tours are designed for small groups of people who would like to spend time on a working farm, meet some animals and learn about farming, fleece and spinning. Visit Glynda’s farm talking to the animals. 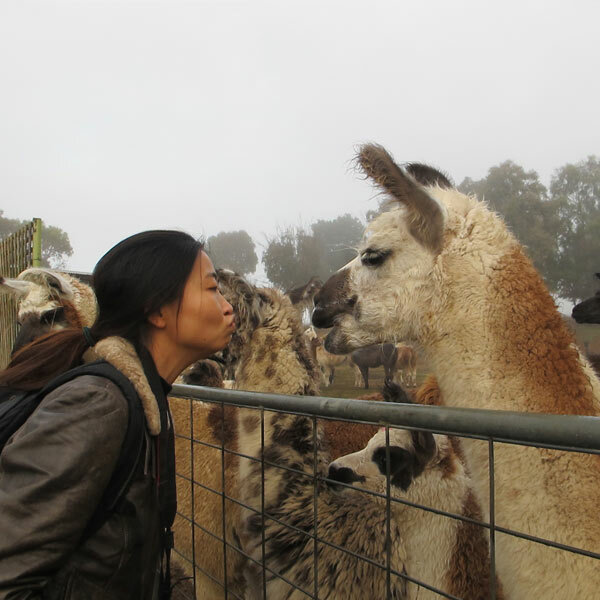 You will meet alpacas, llamas, donkeys, Miniature Galloway Cattle, and their babies, poultry, and there is a stunning water feature including Japanese Koi Carp. This is intended to be an educational and interesting visit where, as well as meeting the animals, you can also find out about farming and general maintenance. For those interested in how llama and alpaca fibre is used, you can observe spinning, and perhaps give it a go for yourself. The fact that this guided tour is only for small groups ensures you have plenty of opportunity to have personalised attention. We will also discuss the possibilities of how city dwellers can become involved in farming without relinquishing the convenience of living in town. 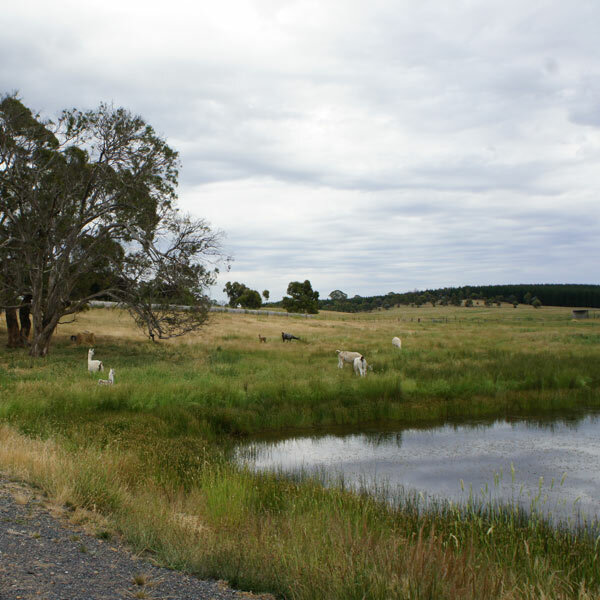 Although our animals are very friendly and gentle, this is not a petting zoo, but rather ideal for those who want to learn more about life on a small farm in the Canberra region. Although designed as an educational day for adults, children are welcome providing they are well supervised by their parents. Please wear comfortable outdoor clothing, sensible shoes and hat, and bring a camera if you like. Please bring your own snacks. Please note: our workshops Raising Livestock – the Backyard and Beyond, Urban Farmer and Tree Change are more in depth and intended for those who are ready to commit themselves to livestock raising or a tree change. These visits are not run on a regular basis, but when there is sufficient interest. Please see our calendar for our 1.5hr tours. Each workshop and tour requires a minimum of 4 people to run. If there are less than 4 starters for a workshop or tour, we are happy to reschedule or offer a refund. If you would like to take our 2 or 3 hour tours, please contact us or express your interest.